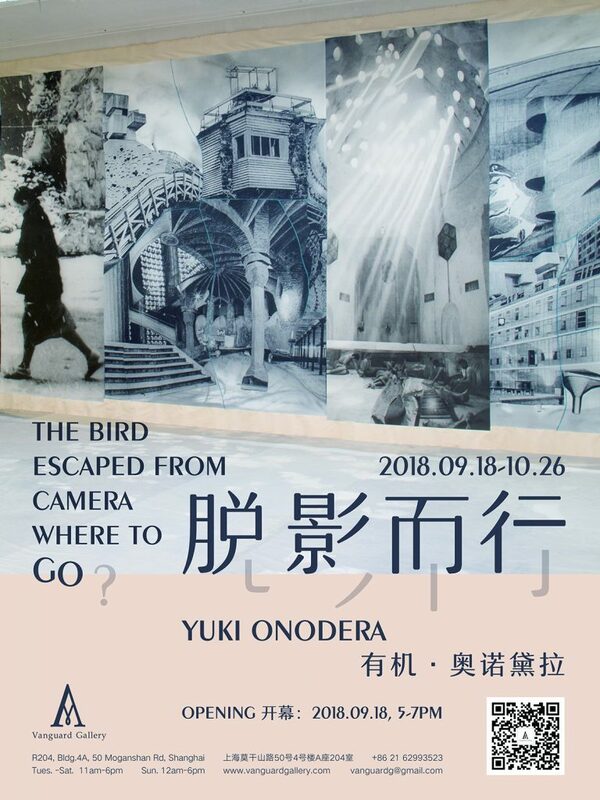 Vanguard Gallery is delighted to announce Japanese artist Yuki Onodera’s solo exhibition, The Bird Escaped from Camera Where to Go?, is opening on September 18th, 2018. The works of Yuki Onodera have long been companied with comments such as “unbelievable”, “fantastic”, and even “obscure”. Her works have never focused on things which bear explicit reference visibly, but contain her personal experiences subtly. In Study for Image à la sauvette, the squeezed and crushed pet bottles has remained their nature as containers in the series of seemingly contingent reshaping process. Instead of “a photography artistic work”, it seems more appropriate to characterize it as a “photographic record of a work”. The painted pale green pigment bursting out of the bottle has re-enhanced the uncertainty and contingency of the pet bottle’s transformation as a personal experience. In How to make a Pearl, Onodera recalled people’s recognition of the existence of camera between the photographer and subjects by inserting a glass marble between her lenses, while we are made aware of subconscious acts that we normally would not mind. The enlarged grains, created chemically during development process, powerfully lifted the people out of the surrounding darkness in the sharp relief and echos the lofting while “pearl” up above. The artist further pursued her artistic practice in the manner of a craftsman through Muybridge’s Twist series: these giant photographies of twisted bodies becomes materials to be cut, enlarged and rearranged deliberately and made into a collage. As the 19th century British photographer Eadweard Muybridge made history with his series of images that break down motion, Onodera tries to record the unconscious moves of her “Twist dancer” by choreographing the figure with rearranged photographed materials and collage. Her latest work Architectural Bodies and Events has continued her creative practice in Muybridge’s Twist, which employed collage, painting and large scale gelatin silver prints. She photographed portraits of a vast selection of architectures from different cultural, historical and geographical backgrounds, dismembered them into cutouts, rearranged parts of these architectures as body parts and regrouped them in order to build a surrealistic fantasy landscape. It is surprising that the end result of such recreation can reach an unexpected level of harmony, where we are amazed by the blending consistency among these architectural bodies. Yuki Onodera was born in Japan and now lives and works in Paris. Recent exhibitions including: Yuki Onodera, Kyoto Museum of Photography, Kyoto, Japan (2018); Yuki Onodera, KIDO Press, Tokyo, Japan (2018); Yuki Onodera, Pierre-Yves Caër Gallery, Paris, France (2017); Japanese Photography from Postwar to Now, San Francisco Museum of Morden Art, San Francisco, USA (2016); Yuki Onodera, Maison Européenne de la Photographie (MEP), Paris, France (2015).